YouTube is the only hub where the audience can find the relaxation by watching plenty of videos. The videos on YouTube should cheer up the users by considering all approaches. To do all these while displaying a video content then it should have some specific strategies like bite, snack and meal type through which it can engage the audience by fulfilling their needs. 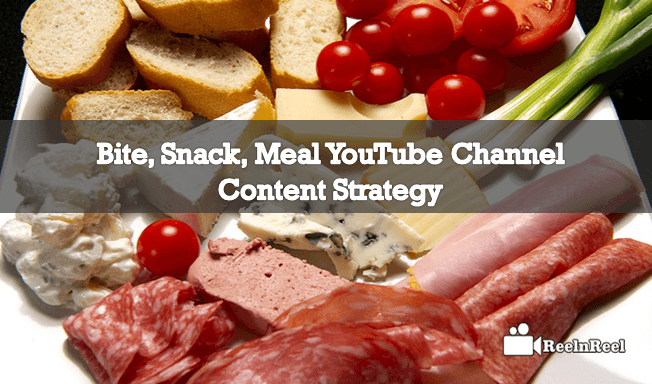 Bite, Snack, Meal YouTube Channel content strategy is explained here. Advertising on YouTube will bring the ultimate creators to the screen by using video content. The story you narrate at the audience should make them watchfully. What is Bite Video Content? What is Snack Video Content? What is Meal Video Content? How Brands can leverage this Bite, Snack and Meal YouTube Channel Content Strategy? The video content which has been created in a very short form to deliver the entire message within 10 seconds to the audience is termed as bite video content. This type of content will exactly reach the audience without consuming their precious time. Most of the audience will find no time to watch and catch the videos by spending a lot of time. The most advantage of using bite video content is that it will get more shares on other social media platforms along with YouTube. 10 to 30 seconds format of video content will be feed at the audience that is more flexible to watch on mobile as it has a huge number of daily users. Along with the creation of ultimate snack video content gathers perfect keywords and titles to grab the viewer’s attention that leverage the creators to make invention on content creation. The meal video content is nothing but the long form of video content which will be played for more than 30 seconds. This type of videos does not exist on small screens. This video content should be created in a far-fetched way that no one has generated before and it takes a little bit more effort and time. But it shows the long time results through continuous engagement as the name implies. This type of highly qualified video content will be shared on all other social media sites. Whereas the bite and snack video content best fits to get more traffic on the YouTube channel. These can be created in very less time which is most required for the brands to disperse at the audience as they are very short and simple. The bite and snack type will be beneficial to produce multiple videos of varied content which enlarge the creativity of one’s brand. This is absolutely mind blogging ad for ever and ever. In this video content, the Doritos has been featured in a hilarious way which never seen before. This has gone viral on YouTube on the account of Doritos and this has brought a unique image for the Doritos and explored innovative strategies of Super Bowl through 30 seconds ad. By using the meal content the brands can establish the growth of the channel by getting more views, likes and tweets on social media. Meal content will be generated through the insertion of unique and high-quality content which helps in exploring the brand by building a strong relationship with the audience. All this happens that the meal video content will contain all information which leads to getting more search engine results as well. Here we can say that Coke has deliberately touched the hearts of the audience by landing emotional touch through this video content. This can provide you the complete details of how bite, snack and meal video content play their unique role in feeding the YouTube channel by adding unexpected traffic.